Joint ventures can give your business tremendous leverage. They can give you valuable access to other entrepreneurs’ tribes. Give you instant trust and credibility. And, provide one of the fastest ways of growing your customer-base with little risk. However, some joint ventures should be completely avoided and never make their way into your marketing. The most valuable business asset you have as an entrepreneur is a trust-based relationship established with your customers and engaged prospects – your tribe. Your trusted advisor positioning and tribe relationship should be guarded, protected, and cared-for with the utmost commitment. Nothing you do or say should ever jeopardize the relationship you have with your tribe. And everything you do and say should ultimately, in some way or another, nurture your relationship and enhance your trusted-advisor positioning. 1. Don’t promote any product/service simply for a reciprocal promotion from a partner. This one is a biggie. Unfortunately, it’s rampant in the internet marketing space. You should never cavalierly agree to promote a partner’s future product or service to your tribe just to secure a promotion for your product or service today. Don’t put yourself in a position to “owe” a partner a promotion on their next product/service just so they’ll promote for your product today. What if their next product is garbage? What if you don’t agree with the premise of their next product? What if their next product isn’t something you’d truly advise your tribe to invest in? By promising a reciprocal promotion with a partner – without any guidelines associated with your approval of their product – you put yourself in a position to have to promote something to your list that’s not necessarily for their best interest. 2. Don’t promote any product/service you haven’t gone through and/or utilized in your own business. 3. Don’t promote any product/service you wouldn’t buy at the offer price. If you wouldn’t actually spend your own money on a product or service, you shouldn’t advise your tribe to do so. Period. What started out as a great tool for incredible business leverage and growth – the joint venture – has morphed online into a “I’ll scratch your back if you scratch mine” mess. Don’t be one of those marketers who simply promotes stuff to your list as an affiliate or joint venture partner simply so you can get a reciprocal promotion back. If the answer is no, don’t promote it. It’s not worth the damage it will do over the long-haul to your positioning and relationship with your tribe. 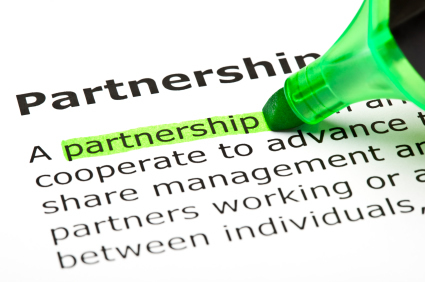 Question: What other criteria do you have for going forward with joint ventures and/or affiliate promotions? You can leave a comment by clicking here.